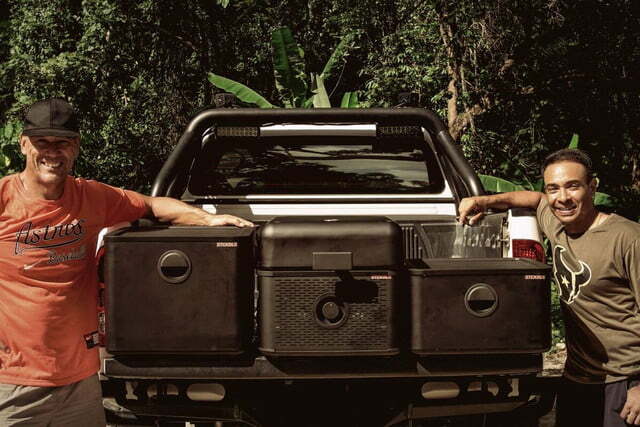 Car campers and tailgaters looking to take their culinary skills to the next level are going to want to check out STCKBLS, a new modular, portable grilling system that just launched on Kickstarter. 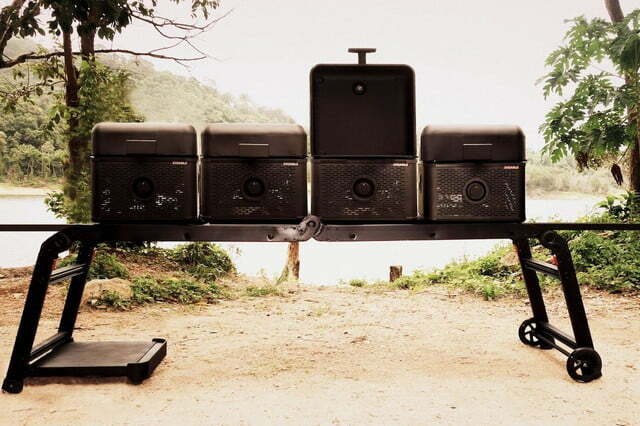 The grill promises to revolutionize outdoor dining by providing an efficient, powerful, and easily-transportable way to make meals at the campsite, big game, or anywhere else you might want to go. 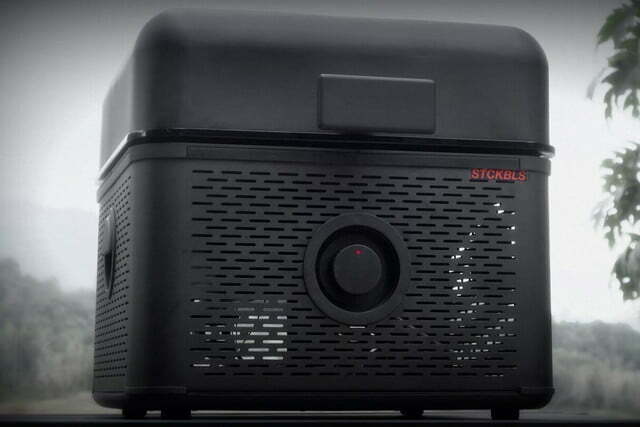 The STCKBLS system consists of three individual units, each of which plays an important role in cooking. 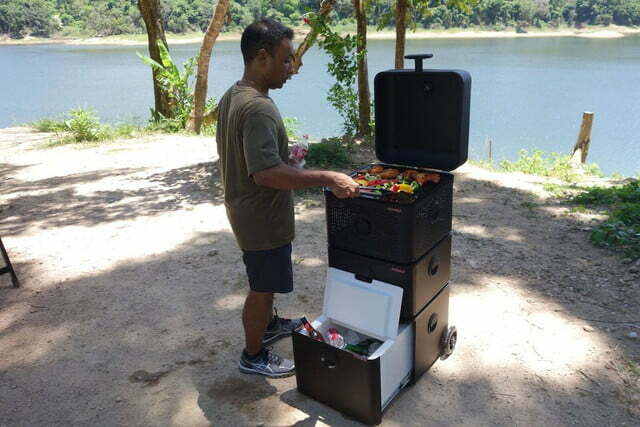 At the heart of this modular approach is a portable gas grill capable of producing up to 12,000 BTUs per hour. 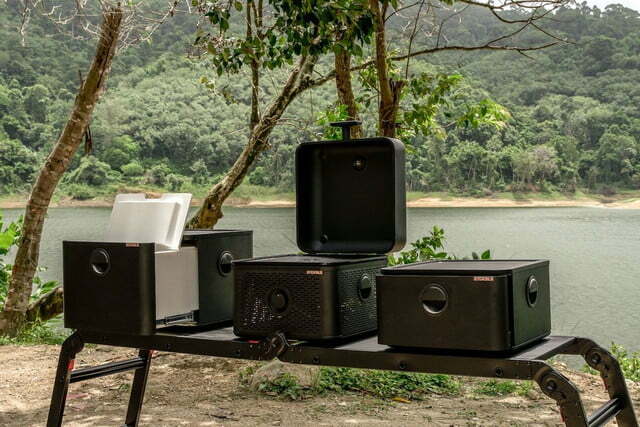 The grill, which comes in both propane and butane versions, gives chefs 280 square inches of cooking space, which is sizable enough to cook plenty of food to feed a hungry crew. 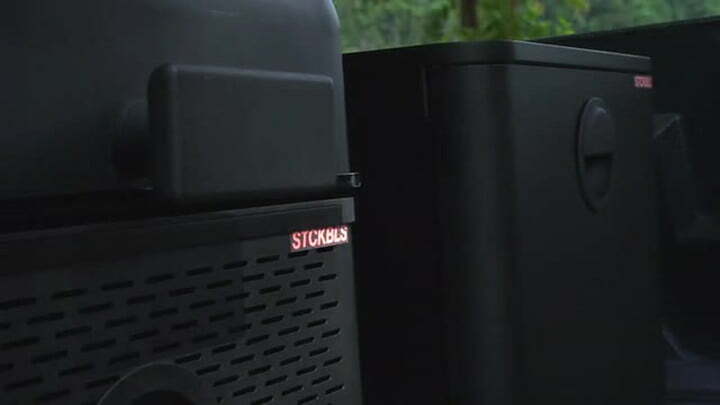 The other two STCKBLS modules include a utility storage unit for stashing cooking utensils and supplies, and a rugged cooler for keeping fresh food and beverages chilled. What makes the STCKBLS system unique is how all of the different modules have been engineered to work together. The three components share the exact same 18-by-18-inch footprint, which not only makes them highly stackable (get it? ), but simplifies transportation. All of the modules fit neatly on the STCKBLS grill stand, which will not only support up to four grills placed side-by-side, but also provides extra prep space. That same stand transforms into a wheeled trolley for moving the various components from one place to another. Each of the modules feature handles on either side to help make them easier to carry, while both the storage unit and cooler have sliding drawers that grant access to their interiors even when they are stacked on top of one another. 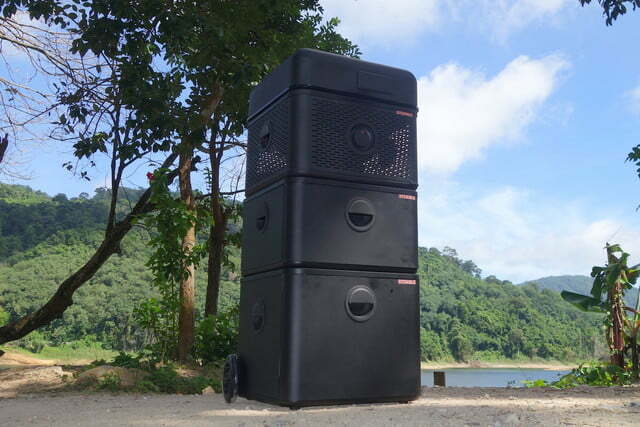 The components are all made with sturdy steel frames that help protect them while in transit, with the grill being the heaviest of the three at 44 pounds. The designers of STCKBLS are hoping to raise $150,000 on Kickstarter to get the portable kitchen into production. If successful, they hope to begin shipping the entire line in April 2018. 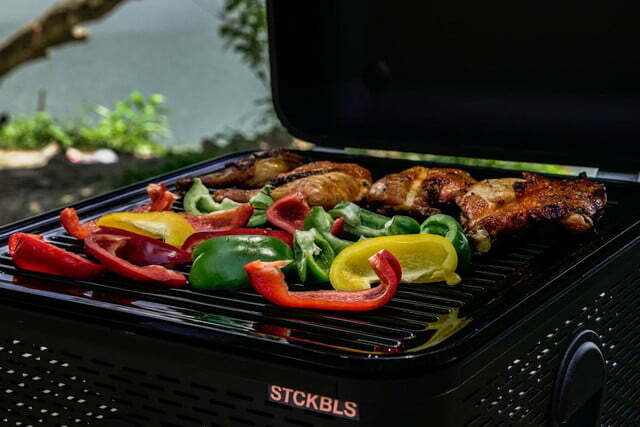 At that time, the grill itself is expected to sell for $300, while the “Full Stack,” which includes the matching storage unit and cooler, will retail for $480. All of the STCKBLS products are available to pre-order at discounted prices for backers. 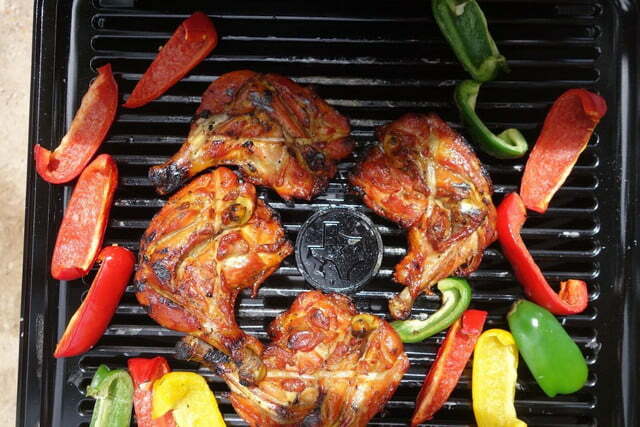 The Uber-Q, another portable grilling system that just launched on Kickstarter, is available to early backers for $151, and funding is still being accepted.